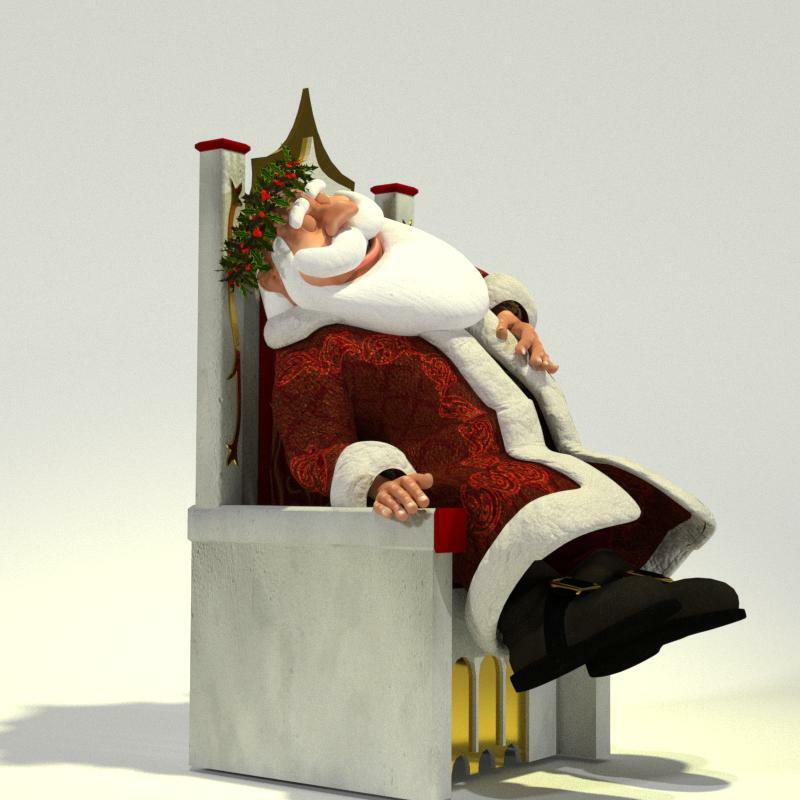 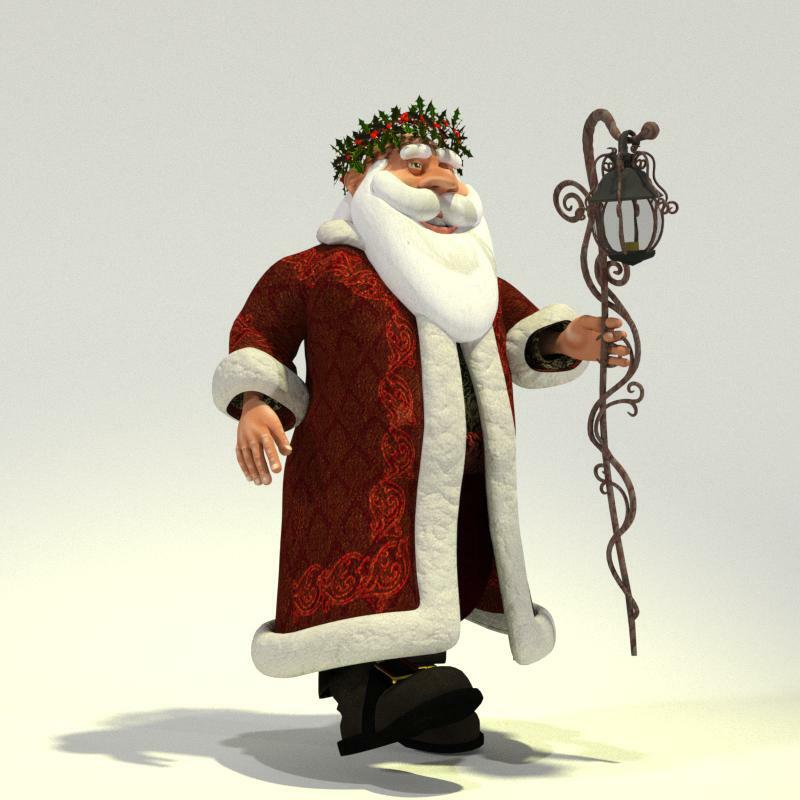 Father Christmas is the traditional English folklore version of Santa Claus. 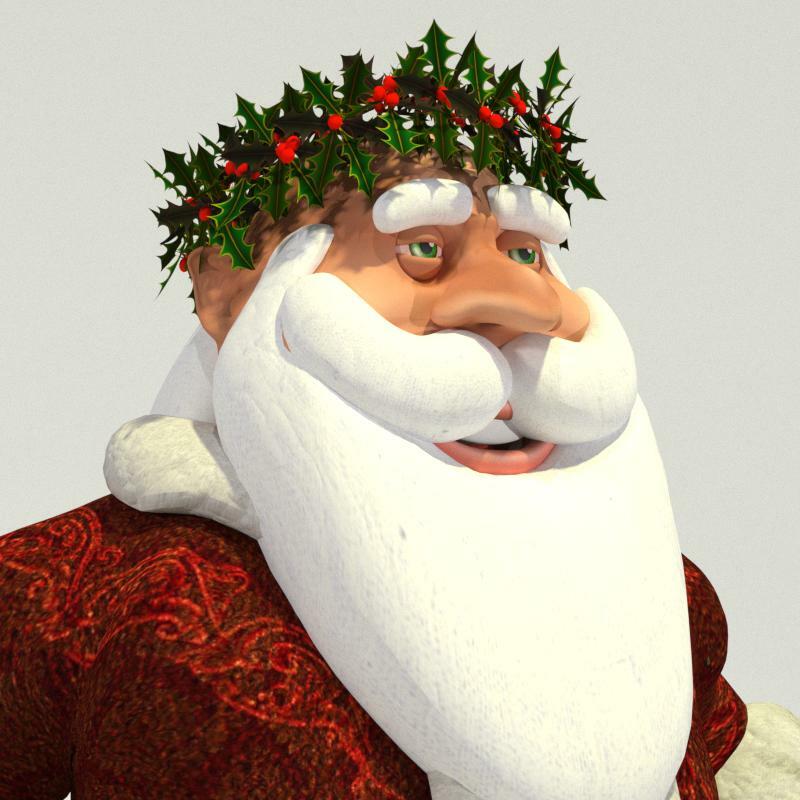 He's traded in his red hat for a fine circlet of holly leaves and berries, and wears a gloriously patterned red robe. 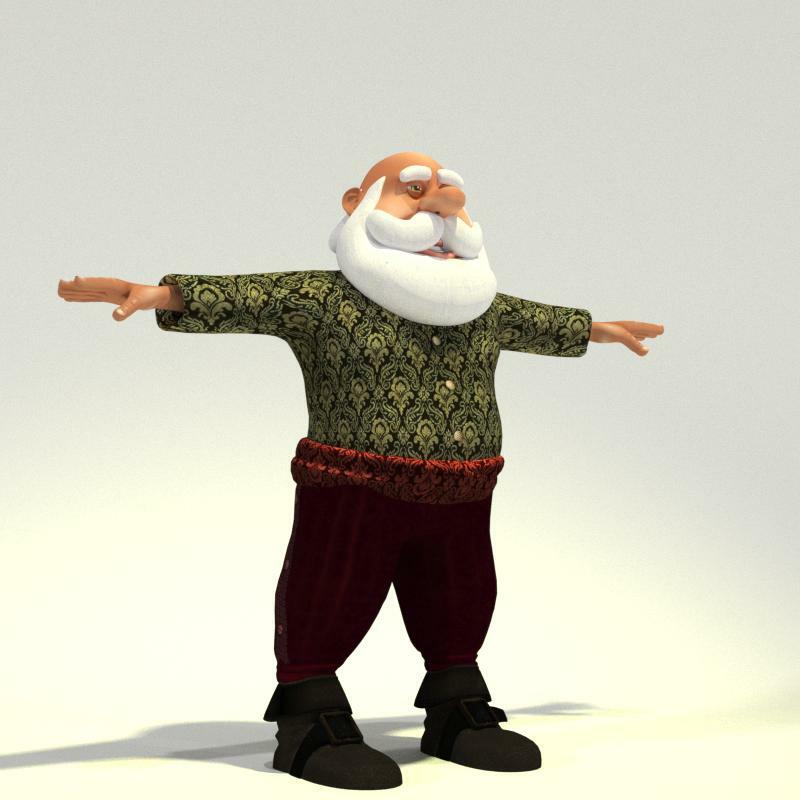 Father Christmas is also known as Toon Santa 11. 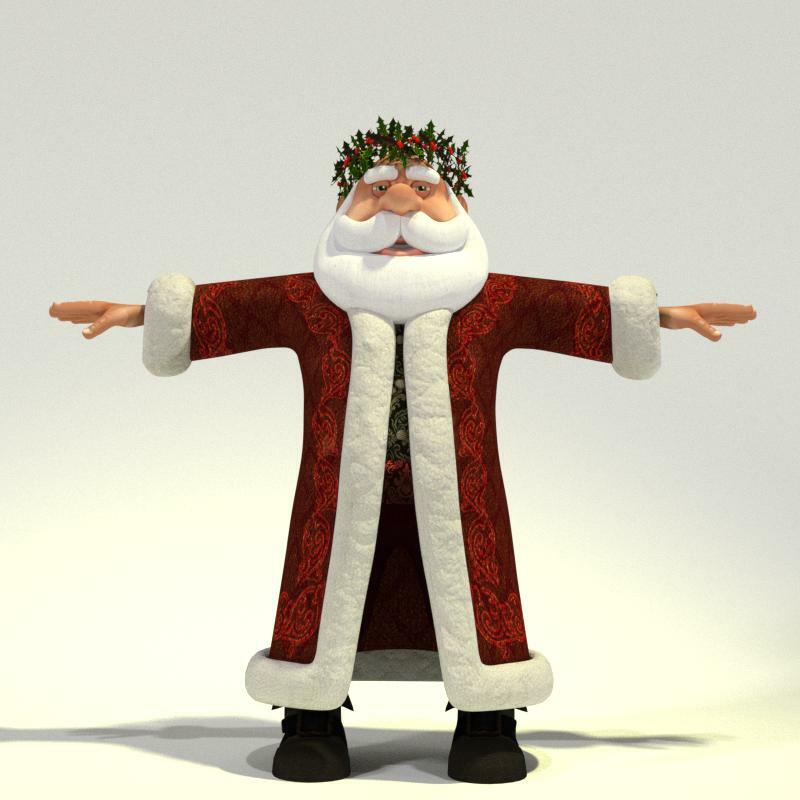 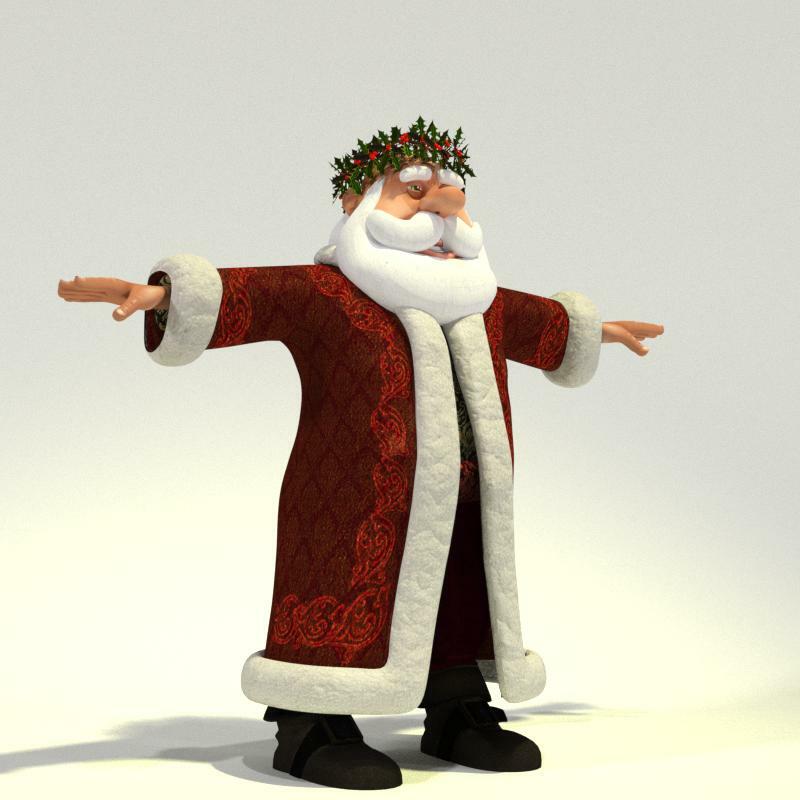 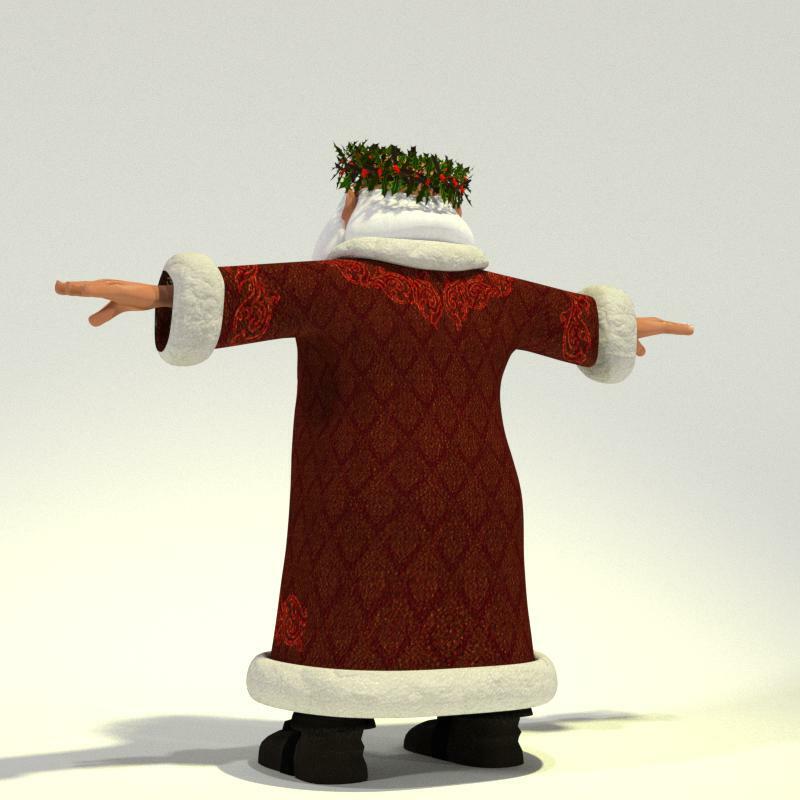 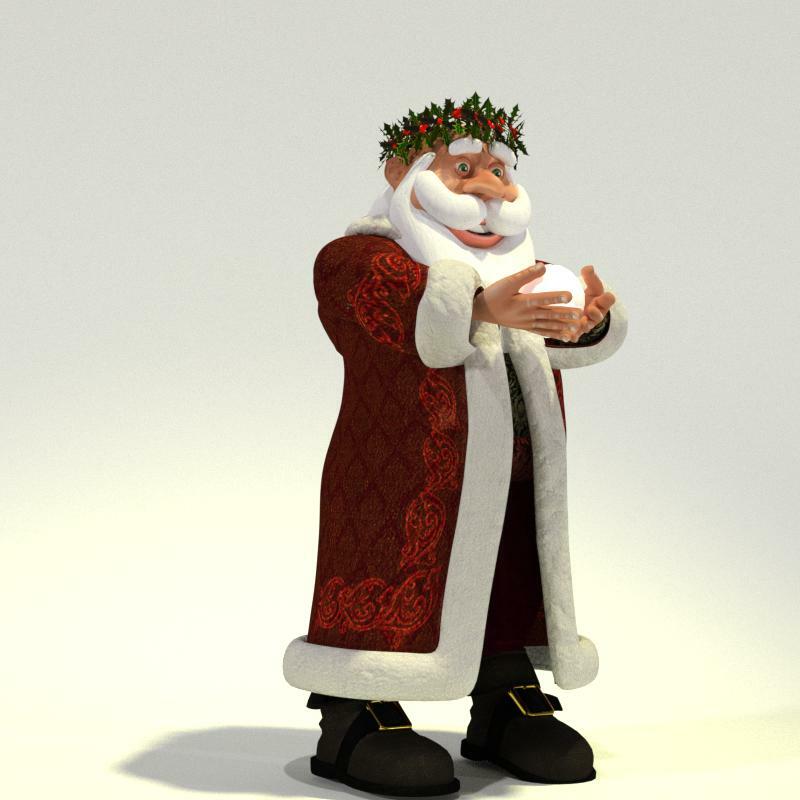 He is available as a stand alone model or as a part of the Toon Santa Complete Edition Release as of Christmas 2011.